There are frequently discounts available to senior citizens and small children for independent swim. Find out by contacting your nearest pool among these Trinidad and Tobago Pools. We probably don't know all the Pools in Trinidad and Tobago. Are you missing any? Contact us!. For Trinidad and Tobago and its vicinity, we're showing you all the registered pools, some of them have no GPS coordinates and can't be found on the map at the map. 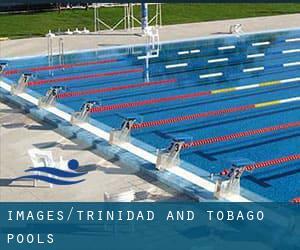 If you might be looking for Trinidad and Tobago Pools, it's good to know countless of them belong to gyms or sports centres which also supply lessons. Get informed by calling the premises. Traveling to Trinidad and Tobago? This is the perfect spot on the internet to find places to swim in Trinidad and Tobago. Each day you might be not swimming you're losing precious time in improving your skills to be a far better swimmer! No much more excuses! Find your nearest Trinidad and Tobago Swimming Pool and tell us how it went. Are you a regular swimmer? Have you ever practiced Aquagym in Trinidad and Tobago? Let us know!. One of the advantages of outdoor swimming in Trinidad and Tobago may be the possibility to sunbathe in the course of the summer season. Taking it with extra care, sunbathing is healthy since introduces Vitamin D into the body, so the best option seems to be switching among indoor and outdoor pools depending on the season. Swimming is a excellent idea to help keep your body active during your visit to Chaguanas (Trinidad and Tobago), or even for anybody who is a local. Swimia helps you to locate your closest Swimming Pool in Chaguanas. Without a shadow of a doubt, swimming in San Fernando will be the best way to unwind after work. Take a couple of minutes to browse Swimia's catalog to find a Swimming Pool in San Fernando. Whereas Port of Spain is one of the six most populous cities in Trinidad and Tobago with nearly 49.031 residents, you shouldn't miss that one if you're going to Trinidad and Tobago. Holding an estimated population of 56.380, Mon Repos is one of the most important cities in Trinidad and Tobago. Check all the Swimming Pool in Mon Repos and its surrounding area. Updated on 2019 Culloden Bay Road , Culloden Bay , Tobago . Among all of the activities supplied by the centre, if you are interested in swimming you can expect to take pleasure in 82 feet x 33 feet, Outdoors. Just in case you want to contact this Swimming Pool before dropping by, we only know the phone number. 17A Macoya Road , Tunapuna , Trinidad . Swimmers like you reported 25 meters x 15 meters, 8 lanes, Outdoors. Unfortunately we do not have the email address of this Swimming Pool, but we can provide you with the phone number. St. Anthony’s College Grounds, Morne Coco Road , Westmoorings , Trinidad . Among all the activities offered by the centre, if you are interested in swimming you will enjoy Olympic size, Outdoors. Just in case you want to contact this Swimming Pool just before dropping by, we only know the phone number. Lady Young Road , Port of Spain , Trinidad . This sports centre offers 25 meters, 6 lanes, Outdoors. For this Swimming Pool, only phone number is number here. Presentation College Compound , Carib Street , San Fernando , Trinidad . Few days ago a regular user of this centre told us they offer 25 meters, 8 lanes, Outdoors. Furthermore, they keep in good conditions 18 meters, Outdoors. For this Pool, only phone number is number here. Updated on 2019 Wendy Fitzwilliam Boulevard , Diamond Vale , Diego Martin , Trinidad . Swimmers like you reported 25 meters, Outdoors. Unfortunately we do not have the email address of this Swimming Pool, but we can provide you with the phone number.